Posterior lumbar interbody fusion is a procedure performed to fuse the vertebrae in the lumbar (low back) region of the spine together for stability and may be performed using minimally invasive techniques. PLIF surgery is fusion surgery from a posterior (back) approach and may be recommended as an option for relieving pain resulting from conditions including spondylolisthesis, degenerative disc disease or disc herniation. The goal of surgical treatment is to substantially increase quality of life. 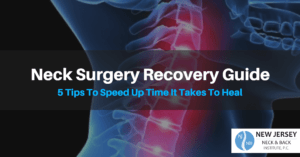 Back surgeon Dr. LaRocca may endorse surgical procedures in case there is noticeable fatigue, soreness or any time all other treatment options have already been utilized. During the procedure, Dr. Sandro LaRocca will make a three to six-inch incision in the center of the low back and move the muscles aside to expose the lamina. The lamina—the protective bony cover of the spinal cord—is removed (a laminectomy) and the nerve roots retracted. With the nerve roots out of the way, the affected vertebral disc material is removed. A bone graft or cage containing bone graft material is inserted into the empty disc space to promote the fusion of the two vertebrae together. The bone graft material is rarely taken from the hip but may also be donated from a cadaver or consist of various biologically active materials that promote bone growth. Screws are then inserted into the bone and rods are inserted to provide stability. After the rods are in place, graft material will be applied along the spine after the top layer of bone is removed to expose the soft healing bone underneath. This also promotes the fusion of the vertebrae. The majority of patients who undergo PLIF are able to leave the hospital one to two days following surgery and are able to return to work and normal daily activities within a few weeks. ACDF is a minimally invasive surgical procedure for relieving pressure on the nerve roots that causes pain, numbness or tingling in the neck and arm. ALIF is a surgical procedure performed to fuse vertebrae in the spine together to provide stability. The cervical spine is comprised of seven vertebrae that begin at the base of the skull and connect to the top of the thoracic spine in the shoulder region. A cervical laminectomy is a procedure that relieves painful pressure on the spinal cord in patients with spinal stenosis. A laminoplasty is a surgical procedure for creating more space in the spinal canal. Lateral lumbar interbody fusion is a procedure that accesses the spine from incisions created on the side of the body. The lumbar spine is the lower portion of the back that curves inward toward the abdomen. Lumbar decompression surgery treats spinal stenosis, a condition in which the spinal nerve roots are compressed by degenerated portions of the lumbar spine. Lumbar Fusion is a procedure where the vertebrae in the lower back are surgically joined together, minimizing any movement of the vertebrae themselves. A laminectomy, also known as a decompression surgery, is a surgical procedure that relieves pressure on the spinal nerves or cord. A lumbar microdiscectomy is where an incision is made on the disc herniation to remove the portion creating pressure on the nerve roots. A microdiscectomy is a minimally invasive procedure conducted to relieve nerve impingement (pinched nerves) and allow the nerves to heal. Minimally invasive spine surgery is a procedure using specialized techniques and instruments allowing Dr. LaRocca to operate with few effects on the body. Spinal fusion is a surgery performed to permanently connect two or more vertebrae in the spine together for stability, eliminating motion. 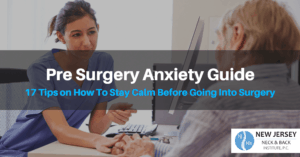 A posterior laminotomy is a procedure typically performed on the cervical (neck) region of the spine for relieving pressure on the spinal cord and nerves. Posterior lumbar interbody fusion is a procedure performed to fuse the vertebrae in the lumbar region of the spine together for stability. Scoliosis fusion surgery is a procedure for correcting the curvature of the spine resulting from disc degeneration of the spine. The thoracic spine refers to the upper and middle sections of the back. Learn about Dr. LaRocca’s advanced procedures to treat the thoracic spine here. Transforaminal Lumbar Interbody Fusion is a surgical procedure conducted to fuse the vertebrae in the lumbar region into solid bone for stability.